Editor's note: January 2018 witnessed an open rebellion in the Supreme Court, when four judges raised doubts about the way cases in the top court were being handled and allocated. In particular, there emerged criticism of Chief Justice Dipak Misra. It prompted many discussions about specific issues such as the Judge BH Loya case, as well as more generalised problems like the independence of courts and alleged governmental interference. 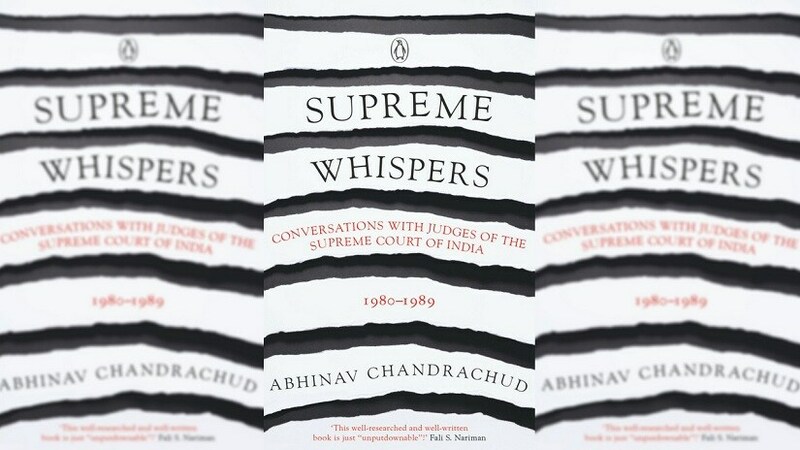 At such a time emerges Abhinav Chandrachud's new book Supreme Whispers, published by Penguin Viking, an imprint of Penguin Random House India. It draws from American scholar George H Gadbois, Jr's countless interviews with judges in the Supreme Court and other stakeholders outside it, which lay bare details about the workings of the courts, appointments and interactions with government officials. In this excerpt, Chandrachud outlines the exact nature of the relationship between Justices YV Chandrachud and PN Bhagwati, whose alleged rivalry took on such a public form that it was akin to 'washing dirty linen in public'. Of all the rivalries among judges in the Supreme Court of India, the one between Justices YV Chandrachud (1920–2008) and PN Bhagwati (1921–2017) perhaps stands out the most. Both were Bombay lawyers who eventually served in the Supreme Court in the 70s and 80s. Their's was easily one of the most public rivalries in the history of the Supreme Court of India. The antagonism between Chandrachud and Bhagwati probably dated back to their days at the Bombay Bar. Chandrachud was older than Bhagwati and, having enrolled as a lawyer earlier, was senior to him. However, Bhagwati’s father, NH Bhagwati, was a judge of the Bombay High Court, who would eventually go on to become a Supreme Court judge. Rumour had it that senior Bhagwati was not very nice to the advocates who were considered junior Bhagwati’s competitors. Senior Bhagwati was transferred from the prestigious Original Side of the High Court to the Appellate Side, because Advocate General HM Seervai complained about him to Chief Justice Chagla. NH Bhagwati did not like Chandrachud at all. Bhagwati was appointed a judge of the newly established Gujarat High Court in July 1960 by ST Desai, the first chief justice of the Gujarat High Court, who was very close to Bhagwati’s father. Desai had sent up Bhagwati’s name in May 1960, when the Supreme Court was closed for the summer vacation, at a point in time when Justice Gajendragadkar, who might have blocked the appointment, had come back home to Bombay for the summer. Initially, Bhagwati didn’t want to go to Ahmedabad, even though he had been born there, because Bombay was home for him, but he reluctantly accepted when Desai spoke to his father to persuade him to accept. On the other hand, Chandrachud was appointed a judge at the Bombay High Court in March 1961. Bhagwati was 38 years old when he was appointed a High Court judge, while Chandrachud was 40. Chandrachud’s appointment to the Bombay High Court was stalled on account of a speech made by Chief Justice BP Sinha at that court. While visiting Bombay, Sinha had expressed the view that no advocate from the bar ought to be appointed to the bench unless he was between the ages of 45 and 55. Chief Justice HK Chainani of the Bombay High Court took this as a formal rule, and refused to recommend Chandrachud’s name for a high court judgeship. This was despite the fact that Sinha had not objected to Bhagwati’s appointment as a high court judge below the age of 40. Gajendragadkar, a sitting Supreme Court judge at that time, learnt of this, and informed Sinha that his Bombay speech was being taken literally by the chief justice there. Sinha then told Gajendragadkar to tell Chainani to recommend Chandrachud’s name without delay. 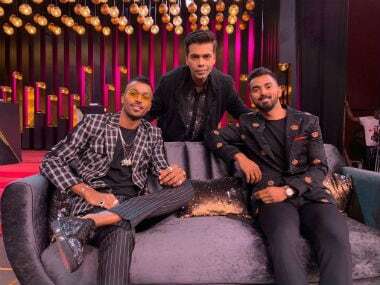 Gajendragadkar conveyed the message to Chainani, and it was under these circumstances that Chandrachud became a high court judge, when he was 40 years old. Chandrachud’s appointment to the Bombay High Court was also delayed by the fact that he was involved, as the government pleader, in arguing the famous Nanavati case at the high court. Many Supreme Court judges at the time believed that Bhagwati and Chandrachud would eventually be appointed to the Supreme Court. They were identified as being among the three most brilliant judges in the country—the third one was Justice RS Pathak. By September 1967, Bhagwati had also become the chief justice of the Gujarat High Court, while Chandrachud was still a puisne judge in Bombay. Though Bhagwati was younger than Chandrachud and had been junior to him at the Bombay Bar, there is no doubt that Bhagwati was senior to Chandrachud in the judiciary. Chief Justice JC Shah, who served as the chief justice of India between December and January 1971, recommended Bhagwati’s name for elevation to the Supreme Court. Both were Gujaratis. However, Justice JM Shelat, who was in the Supreme Court at the time, and who had served as chief justice of the Gujarat High Court, torpedoed Bhagwati’s nomination. Shelat gave Chief Justice Sikri the impression that Bhagwati was interested in ‘pleasing the Government’. Shelat had apparently heard that in 1970 or 1971, Bhagwati had made a speech at a public function in Ahmedabad, in the presence of Union Law Minister HR Gokhale, that all judges should be committed to the Congress. This embarrassed even Gokhale, who had stood up and said that this was not what the government wanted. Sikri had known Bhagwati because Bhagwati would call upon him when he visited Delhi from Gujarat (though Sikri did not tell Gadbois that Bhagwati was canvassing for an appointment to the Supreme Court). Sikri did not concur with Shah’s recommendation. When Shah realized that Shelat’s opposition would prevent Bhagwati’s appointment from going through, he withdrew his recommendation, as he didn’t want to hurt Bhagwati’s record (otherwise, Bhagwati’s file would have had an entry showing that his appointment had been rejected). Shah said that he had indeed ‘sent Bhagwati’s name over’ for appointment, but that ‘ultimately, the Government has the appointing power’. Years later, Bhagwati thought that Shelat had blackballed his elevation to the Supreme Court on account of a personal grudge. Justice Shelat’s daughter had once wanted to marry one of Bhagwati’s brothers, but his brother had declined. Bhagwati wondered whether this had something to do with Shelat’s recommendation against him. Bhagwati told Gadbois that Shelat didn’t like him, which is why he halted his appointment. If Bhagwati had been appointed to the Supreme Court on Chief Justice JC Shah’s recommendation, he would have served in the office of chief justice of India between January 1977 (upon the retirement of Chief Justice AN Ray) and December 1986 (when he reached the retirement age of 65), by far the longest term served by any chief justice of India. Eventually, Chandrachud was elevated to the Supreme Court before Bhagwati, on account of the efforts of Law Minister HR Gokhale. Though Chandrachud thought of Gajendragadkar as his godfather, he may not have had a hand in Chandrachud’s appointment to the Supreme Court. Gajendragadkar had been very close to Chandrachud’s uncle and father-in-law. In earlier days, the latter would send work from Pune to Bombay for Gajendragadkar when he was still a lawyer. Yet, Chandrachud, said Chief Justice Sikri, was ‘completely my choice’. Chief Justice Sikri said that their relative ages were taken into account while deciding whom to appoint to the Supreme Court first, Chandrachud or Bhagwati. The fact that Chandrachud was older than Bhagwati held some weight. The fact that Shelat did not like Bhagwati also weighed against Bhagwati. Whenever Chandrachud’s name was discussed for appointment to the Supreme Court, Bhagwati’s name was also discussed. In fact, everyone was aware of the implications of appointing either Chandrachud or Bhagwati first; the fact that one or the other would have an enormous term as the chief justice of India. 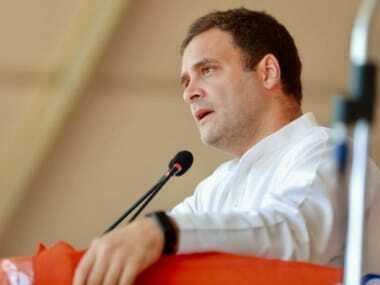 In his autobiography, P Jaganmohan Reddy wrote that after Chandrachud was elevated to the Supreme Court, ‘[t]here was . . . a grouse entertained by a Chief Justice of a High Court who, though junior, thought he should have been considered by reason of the office held by him. His attempts did not succeed.’ He was, in all probability, referring to Bhagwati. Justice Hegde, on the other hand, wanted Bhagwati to be appointed to the Supreme Court before Chandrachud. 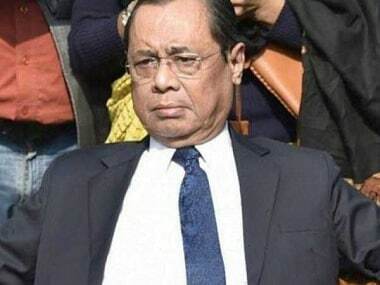 He tried his best to convince Chief Justice Sikri to do so, and when his efforts failed, he let Bhagwati know that he would be appointed to the Supreme Court next. He thought that Bhagwati was more competent than Chandrachud. Hegde and some others, including Bhagwati himself, thought that Gajendragadkar might have had a hand in Chandrachud’s appointment to the Supreme Court as well. Never a fan of Chandrachud, Hegde regretted the fact that he did not oppose Chandrachud’s appointment to the Supreme Court. Hegde would go on to regret the enthusiasm he had shown for appointing Justice Bhagwati to the Supreme Court as well, put off by how ambitious Bhagwati would soon show himself to be. When Indira Gandhi came back to power after the Janata government, Bhagwati wrote her a letter in which he said, ‘Today the reddish glow of the rising sun is holding out the promise of a bright sunshine.’ The letter was leaked to the press, and Bhagwati was criticised for writing the letter, among others, by Seervai, who pointed out that in a case decided a few years earlier, Bhagwati had described the Indira Gandhi government’s electoral defeat at the hands of the Janata Party in the harshest of terms, calling it a ‘crushing defeat’ and ‘symptomatic of complete alienation between the Government and the people’. Gadbois thought that Bhagwati’s letter was ‘the most scandalous incident involving a [Supreme Court] judge’. When Chief Justice Beg was due to retire from the Supreme Court in February 1978, the Janata Party government contemplated superseding Chandrachud to punish him for his decision in the Habeas Corpus case. Law Minister Shanti Bhushan wrote letters to all of Chandrachud’s colleagues at the Supreme Court, as well as to all high court chief justices, asking their opinion on whether Chandrachud ought to be superseded. Justice PS Kailasam, who was in the Supreme Court at the time, believed that Bhagwati (and Krishna Iyer) voted in favour of superseding Chandrachud. However, Shanti Bhushan said that Bhagwati was the only judge who ‘did not express any opinion on the point’, whereas another Supreme Court judge (whom he did not name) and one high court chief justice said that seniority need not be adhered to. Rumour had it that the noted lawyer Nani A Palkhivala was offered the chief justiceship of the Supreme Court at this time, but that he declined. Eventually, Chandrachud was appointed the chief justice of India in February 1978 (upon the retirement of Chief Justice M Hameedullah Beg), and has served the longest term in office as such, up to July 1985, over seven years. By contrast, Bhagwati served as chief justice of India for only a little over a year. Bhagwati made Chandrachud’s tenure as chief justice somewhat difficult. He torpedoed two of Chandrachud’s nominations for appointment to the Supreme Court: Justice VS Deshpande and MN Chandurkar. 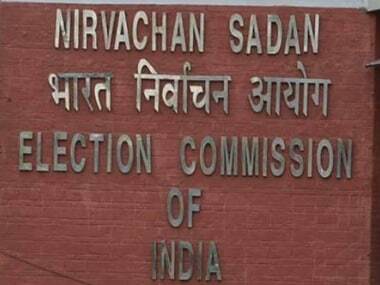 Bhagwati had informed Chandrachud that he would support the Chandurkar nomination, but then he went to the prime minister and said things against Chandurkar. Bhagwati went to President Sanjiva Reddy to blackball the Deshpande nomination. Chandrachud and Bhagwati tried to convey the impression that they got along fine. In his judgment in the First Judges case, for example, Bhagwati had cited an article written by Chandrachud’s son, then a law student, on evolving trends in the doctrine of locus standi. In an interview with India Today magazine, published after he retired from office, Chandrachud said that there had been ‘no notable differences’ between him and Bhagwati, that there was not a single incident between the two which reflected any ‘personal animosity’. Chandrachud even referred to the ‘word of praise’ which Bhagwati lavished on his son’s article in the First Judges case, saying that this was ‘generous on [Bhagwati’s] part’. ‘The general impression,’ said Chandrachud, ‘that all is not well between us arose because of observations made by him in two of his judgments which, with respect, were somewhat harsh.’ Chandrachud was probably referring to the First Judges case and the case of Minerva Mills, which we will see below. But Chandrachud said that he did not allow those observations to mar their relationship. However, most observers considered there to be real animosity between the two. In the First Judges case itself, Chandrachud had been made to file an affidavit by Bhagwati, which some considered unacceptable. The affidavit justified the transfer of Chief Justice KBN Singh of the Patna High Court to the Madras High Court. Bhagwati then described the affidavit as ‘delightfully vague’. Justice DG Palekar, who had ceased to be at the court by that time, said that Bhagwati never got over the fact that Chandrachud was appointed to the Supreme Court before him. Eventually, by a narrow majority of 4–3,142 the Supreme Court held that the transfer of Chief Justice KBN Singh was valid, thereby accepting what Chief Justice Chandrachud had said in his affidavit. Bhagwati himself considered Chandrachud to be a good judge but a weak leader. He did not support the seniority convention, and believed that only a strong leader should have been appointed the chief justice. Bhagwati also criticised Chandrachud for not giving members of the bench in a case, Minerva Mills v. Union of India, an adequate opportunity to consult with each other prior to delivering judgment. This case dealt with the important question of the validity of the 42nd amendment to the Constitution, enacted by the Indira Gandhi government in 1976 during the Emergency. One of the members of the bench, Justice AC Gupta, said that there had, in fact, been consultations between members of the bench in the Minerva Mills case. He said that Bhagwati made those comments because he disliked Chandrachud and wanted him to resign so that he would become the chief justice of India. In fact, after Bhagwati’s comments, two of Chandrachud’s colleagues (NL Untwalia and Kailasam) wrote letters to Chandrachud, saying that there had been a full discussion among the judges in the case, but Chandrachud decided not to take any action against Bhagwati, in an ‘endeavour . . . to hold the court together, even at the cost of personal embarrassment’. In fact, ironically, the judges who heard the First Judges case, which was presided over by Bhagwati, were not given an opportunity by Bhagwati to circulate draft judgments among themselves. Though there had been personal rivalries among judges in the Supreme Court in the past, the Chandrachud–Bhagwati disagreement was unique for how incredibly public it was. It was as though the judiciary was washing its dirty linen in public. Several judges were highly critical of how publicly the court had polarised, and how it had developed two factions—a Chandrachud faction and a Bhagwati faction. In hindsight, perhaps there is some truth in saying that the friction between Chandrachud and Bhagwati was a little exaggerated or overstated. Relations between the two, especially after retirement, were very cordial. It is also hard to deny that the late Justice Bhagwati was one of the greatest judges the Supreme Court has ever seen. He remains, to this day, an inspiration to young lawyers and judges in India and overseas.